Remasters for Call of Duty Modern Warfare and last year’s Crash Bandicoot N.Sane Trilogy were a success. So you really couldn’t see Activision not dipping into the remaster well once more. Well that is indeed going to be the case, as in an investor report, Activision confirmed that there will be a remaster of at least one of its IP. In the section concerning ‘Expected Upcoming Releases’ Activision had this to say. 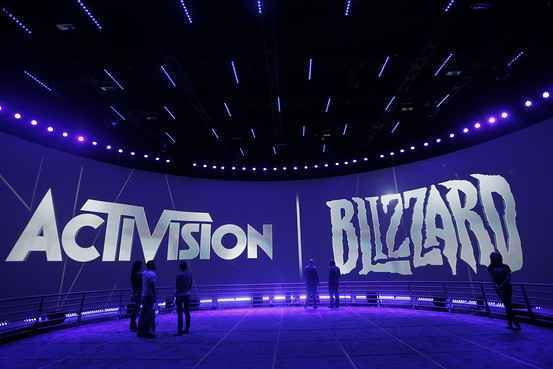 We expect to release World of Warcraft: Battle for Azeroth and our latest Call of Duty game in the second half of 2018. In addition, we expect to deliver ongoing content for our various franchises, including expansion packs for Hearthstone and Destiny 2 , in-game events for Overwatch , and map packs for Call of Duty: WWII , as well as releases of remastered versions of titles from our library of IP. We also expect to release at least two new mobile titles during 2018, including a social casino game from King. We will also continue to invest in new opportunities, including new titles across our platforms, and continue to build on our advertising and esports initiatives. A Spyro the Dragon Trilogy already looks to be all but confirmed as being one, but the specification of ‘titles’ raises further speculation as to what else is on the remastering menu. Another Call of Duty remaster seems most likely, given how well Modern Warfare sold. Perhaps Modern Warfare 2? Black Ops even? Of course another Crash game could be on the table. That’s far less likely this financial year if Spyro is in the spotlight though. We at PlayStation Universe are contemplating a hard campaign for a remaster of Singularity. Why the safety of remasters and tired and tested franchises yet again for Activision? Well, despite making enough money to drown a continent in cash, Activision still has outstanding debts of $4.4 billion. This is mainly due to its acquisitions in recent years. Until that’s wiped out, don’t expect much to change.